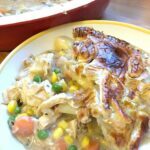 Left Over Roast Chicken Pot Pie, a great way to use up left over roast chicken and vegetables! 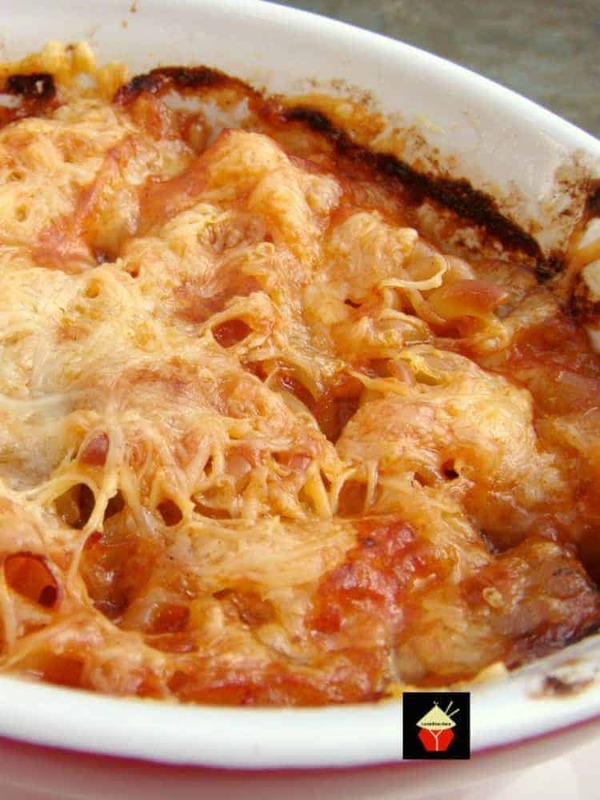 Great for leftover turkey and ham too! 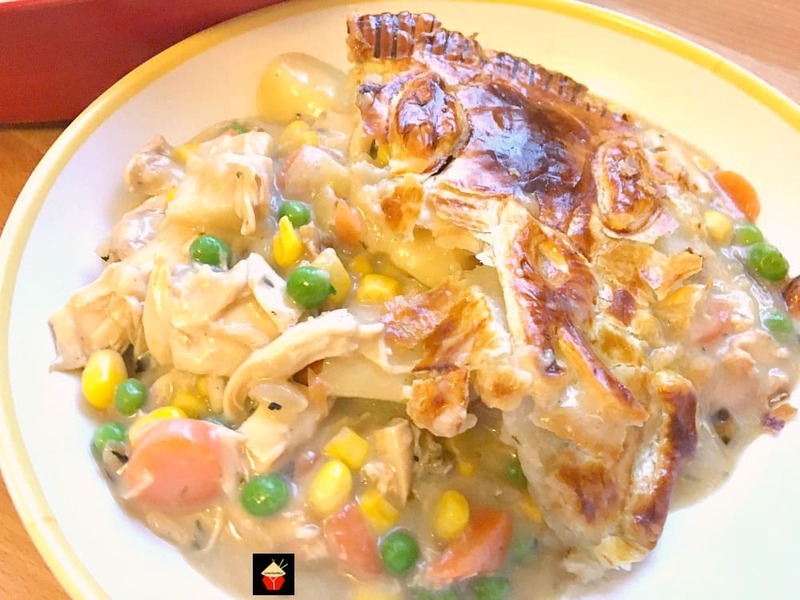 Left Over Roast Chicken Pot Pie! This is so very tasty! 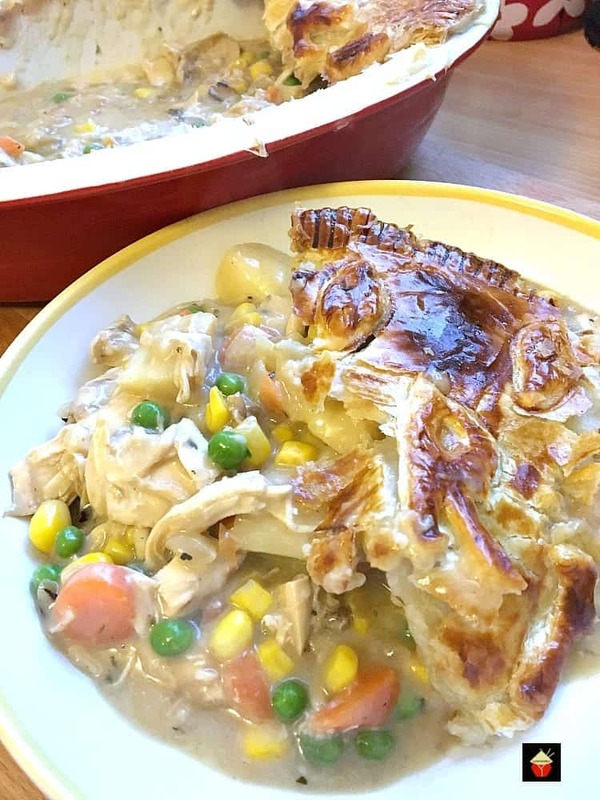 For this recipe, I’ve used very simple ingredients and also made it budget friendly and flexible so you can actually swap any of the vegetables listed for others, for example, if you have left over broccoli, cabbage, carrots etc, simply add them in too! The chicken was left over from a roast dinner I had made the previous evening for dinner. So the only thing which wasn’t left over was the pastry, and that was already in my freezer, ready rolled. So it’s certainly a great recipe for using up any leftovers, for example, your Thanksgiving Turkey dinner, or Christmas dinner. 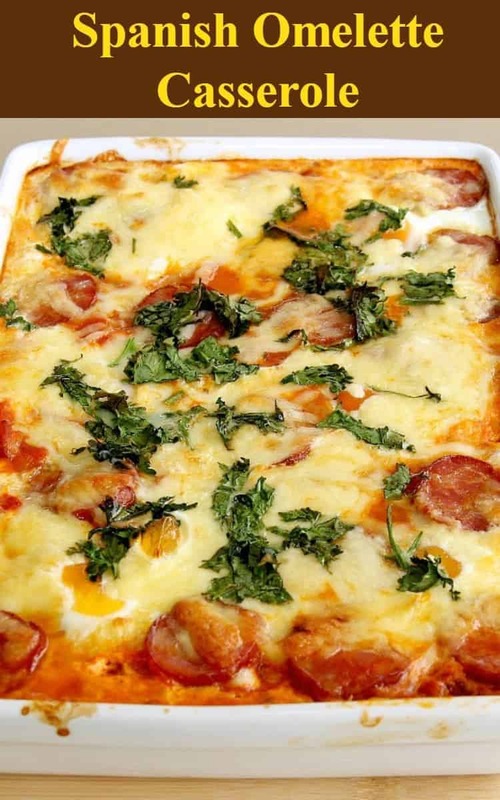 I’ve also made this adding some leftover ham in with the chicken and oh boy! That was really delicious. So don’t be afraid to add whatever you have left over, it will taste lovely! 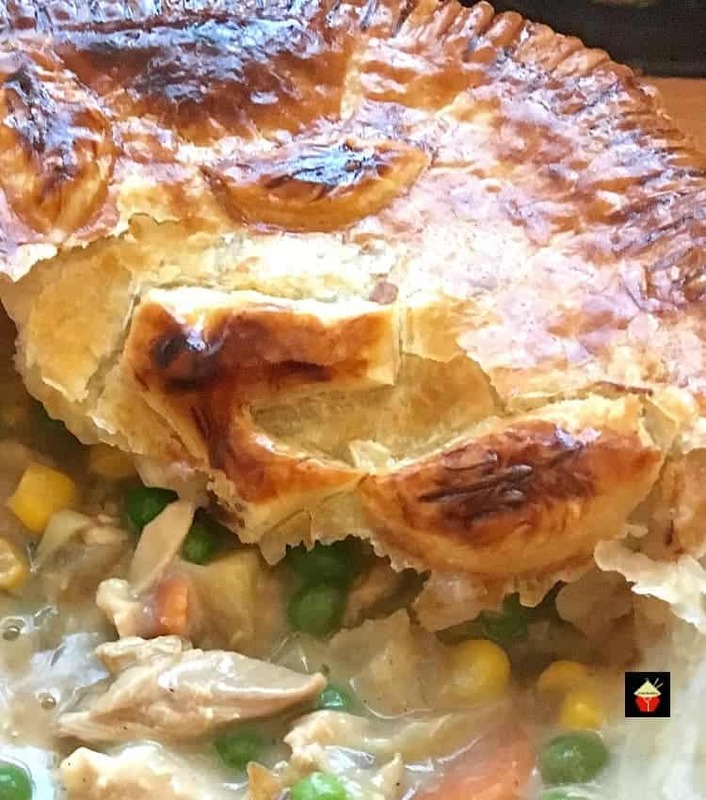 The quantities are very flexible, of course everyone will have a different amount of chicken left over and so on, so just use your judgement to make up enough of the various ingredients to fill the pie dish you have. It’s all good! 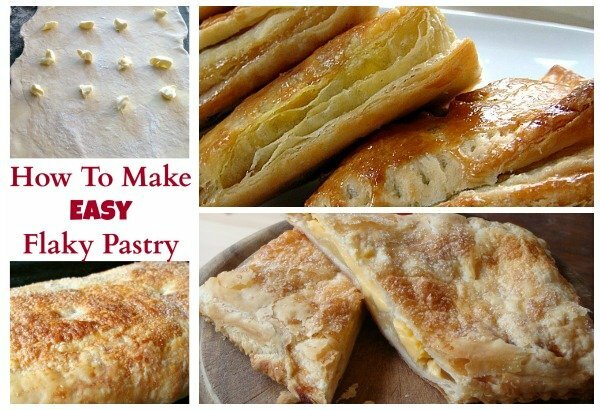 ** You might prefer to make your own homemade Flaky Pastry using our popular recipe. It’s very delicious! 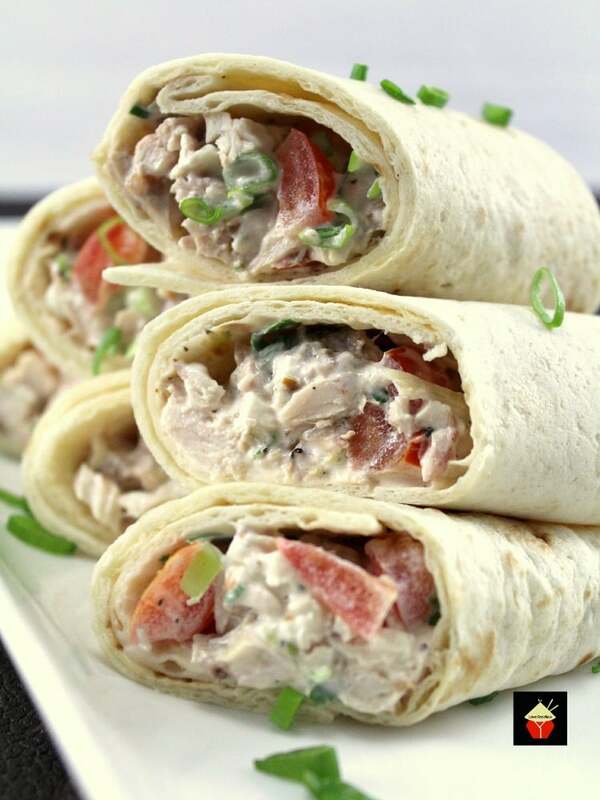 Remove the meat from the chicken by roughly tearing and shredding with your fingers. Set aside. 2. Fill a saucepan with 1 pint of boiling water and add the bones of the chicken. Bring to a boil and then let simmer for about 20 minutes. Season with salt and pepper. Pass through a sieve to remove the bones and reserve the stock for the pie later. ** If you don’t want to do this, use ready-made broth. It will still be delicious! 3. In a large frying pan or wok, add a touch of olive oil and the onions. Cook on medium heat until the onions are translucent. 4. Add the remaining filling ingredients to the pan and combine. 5. Add the flour, chicken broth, season to taste and bring to a gentle boil. Finally, add the cream. Stir until all combined then transfer into a suitable size pan dish. Mine was approximately 10 inches long as you can see in the photos. 6. 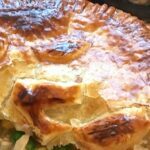 Remove the pastry and place over the pie so it covers right over the edges. Take a sharp knife and trim the edges so the pastry doesn’t over hang, then take a fork and push down around the sides. 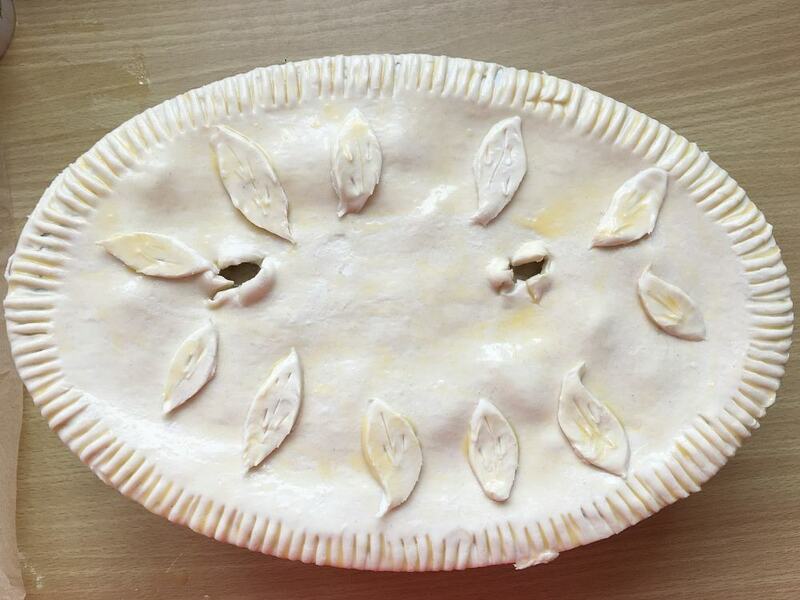 Make 2 ‘X’ marks in the middle of the pastry and open the cuts out like in the photo. This will allow air to escape and make your pastry nice and crisp. 7. 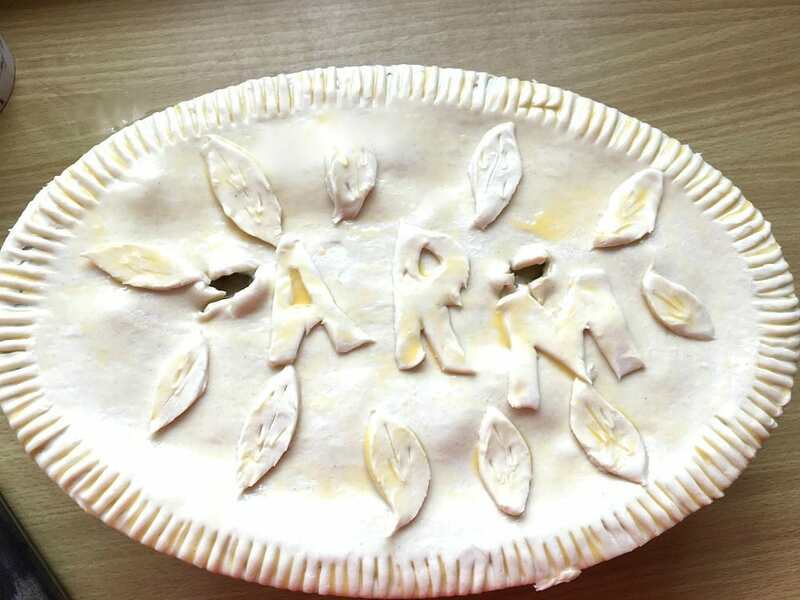 With the remaining off cuts of pastry, cut out some shapes if you wish. 9. Serve piping hot with some delicious mashed potato! 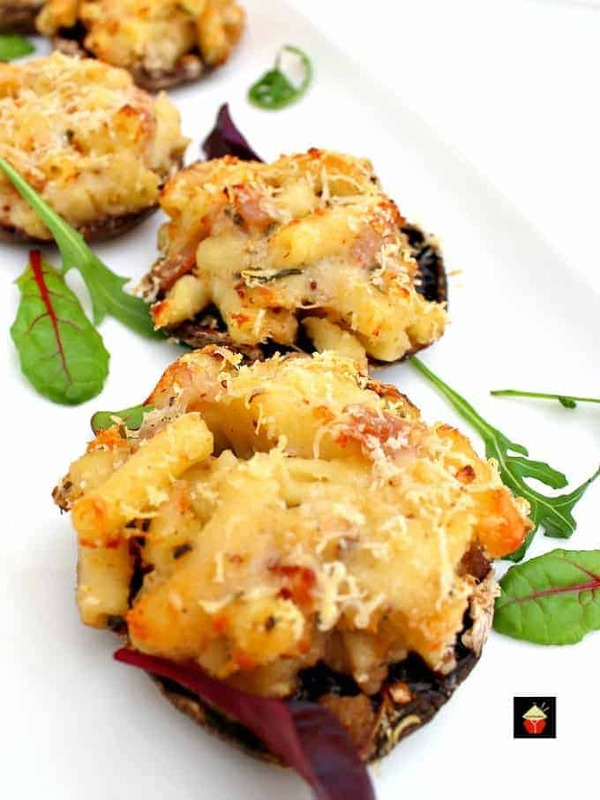 Here’s a few more delicious recipes using leftovers for you to enjoy! 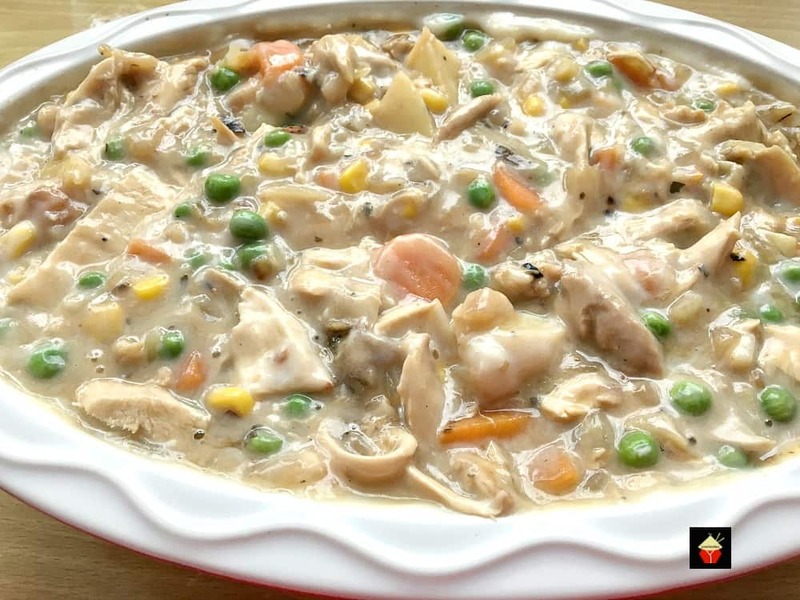 Fill a saucepan with 1 pint of boiling water and add the bones of the chicken. Bring to a boil and then let simmer for about 20 minutes. Season with salt and pepper. Pass through a sieve to remove the bones and reserve the stock for the pie later. ** If you don't want to do this, use ready-made broth. It will still be delicious! In a large frying pan or wok, add a touch of olive oil and the onions. Cook on medium heat until the onions are translucent. Add the remaining filling ingredients to the pan and combine. Add the flour, chicken broth, season to taste and bring to a gentle boil. Finally, add the cream. Stir until all combined then transfer into a suitable size pan dish. Mine was approximately 10 inches long as you can see in the photos. 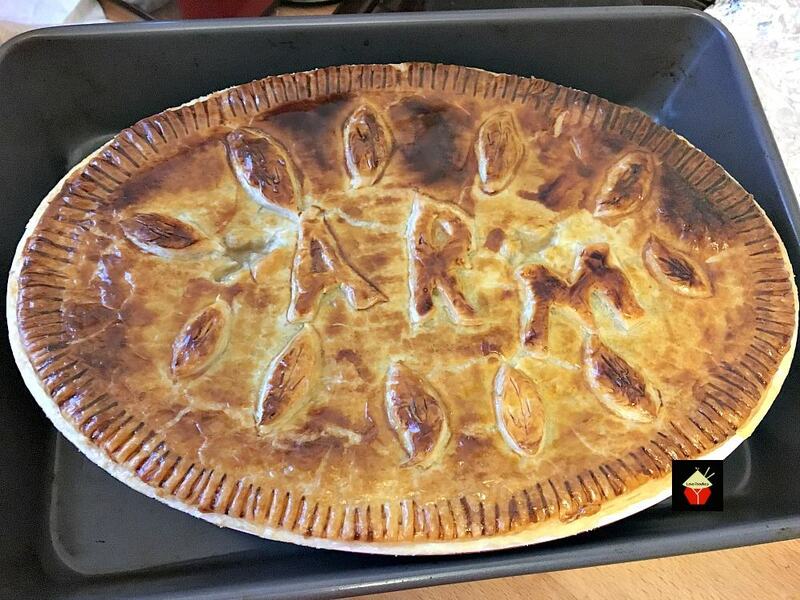 Remove the pastry and place over the pie so it covers right over the edges. Take a sharp knife and trim the edges so the pastry doesn't over hang, then take a fork and push down around the sides. 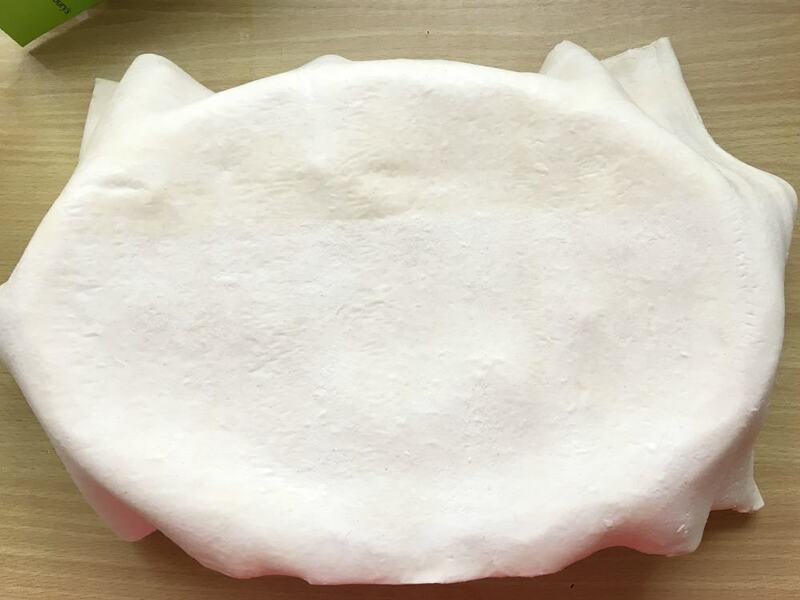 Make 2 'X' marks in the middle of the pastry and open the cuts out like in the photo. This will allow air to escape and make your pastry nice and crisp. With the remaining off cuts of pastry, cut out some shapes if you wish. Serve piping hot with some delicious mashed potato!